Gavilan College is one of 113 California Community Colleges, a part of the largest system of higher education in the world. 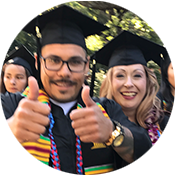 At Gavilan College you can prepare to transfer to a university, get training in a skilled career, build your academic skills, or attain needed classes for career advancement. 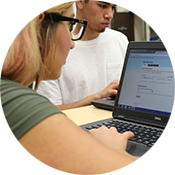 As a relatively small community college, Gavilan offers a more community-oriented and personalized experience than you might find at a larger school, with high educational quality and access to technology. Gavilan College cultivates learning and personal growth in students of all backgrounds and abilities through innovative practices in both traditional and emerging learning environments; transfer pathways, career and technical education, developmental education, and support services prepare students for success in a dynamic and multicultural world. * The mission is evaluated and revised on a regular basis. As members of the Gavilan College community, we value the worth and dignity of every person, the pursuit of truth, devotion to excellence, acquisition of knowledge, and the nurture of democratic citizenship. We strive to maintain these ideals in an environment of inclusiveness and mutual respect. The Principles of Community provide the foundation which creates this environment. The expectation is that we maintain the highest ethical standards in order to establish an atmosphere of civility, honesty, cooperation, professionalism, nurture and equity. We embrace and celebrate diversity in all its forms (the heritage, achievements, uniqueness, and contributions of all our members) and seek to uphold an inclusive, open and enlightened community. We engage in socially and culturally relevant practices and foster caring relationships. We are a community that maintains a shared commitment to service to society and advancement of knowledge through innovative teaching and learning. We are committed to embracing collaboration, effective communication, and the development of strong working relationships throughout the campus. We believe in all voices being heard. This requires outreach and purposeful inclusion of all groups. We believe the free exchange of ideas demands mutual respect, trust and consideration of our differences. We are committed to working towards an environment where all students are achieving their goals and have access to equitable resources and opportunities. We are committed to respect for individual dignity and equitable access to resources, recognition and security. These Principles of Community, reflected in Board Policy 2715, guide the institution's actions. They provide guidelines to follow and are to be considered a living document. Adherence to the Principles of Community is the professional responsibility of all staff. The strength of these principles lies not in their enforcement, but in our ability to create a shared set of values that inform and guide our community's daily practice. Ultimately, Gavilan College is dedicated to fulfilling its mission with compassion, caring and understanding, while respecting all individuals. the Principles of Community are evaluated and revised on a four-year cycle as appointed as a Task Force by the President's Council. Gavilan College is committed to educational excellence. The college aspires to be an exemplary, student-centered community college through leadership, planning, and a commitment to ongoing improvement. Its services and programs are designed to instill the values of critical thinking, life-long learning, cultural understanding, and community service. Gavilan's quality of service to students is closely bound to the quality of the college staff. Gavilan College strives to accomplish its mission with creativity and innovation and with a proactive, accessible and sensitive presence in the diverse communities it serves. The college is dedicated to fulfill its mission with compassion, caring and understanding and holds, in high regard, the respect and worth of all individuals. Gavilan College offers a wide range of services, including programs of community education, study in the liberal arts and sciences, and study in the pre-professional, business, vocational, and technical fields. To support student success, we offer services that strengthen and augment the learning environment. Courses and programs of study are offered days, evenings, weekends, and online. All offerings are designed to assist students in meeting their educational and life goals. An imaginative and nurturing community of learners, fostered through rigorous scholarship, creativity, and personal and professional development. A college environment and social climate characterized by inclusiveness and mutual respect for all of our students, staff, and community. Excellence in and promotion of comprehensive programs, services, and activities. Partnerships that support the educational, economic and social development of the college and the communities we serve.